Next stop was Kais Suspension to have the new Ohlins shock fitted. 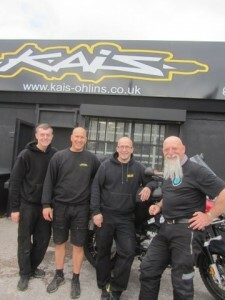 (www.kais-ohlins.co.uk) Nick and the team got the job done in no time at all. They fit out many race teams with their Ohlins shocks, including racers at the Isle of Man. It was good to see Melbourne’s Cameron Donald racing on the video playing in the shop. 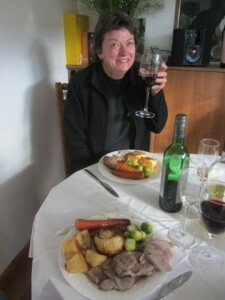 Lamb roast with all the trimmings - yummy! 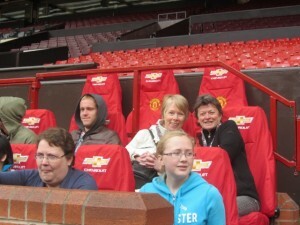 She also took us to Manchester United’s home ground. It’s an interesting tour that takes you to the players’ inner sanctum and the coach’s dugout. 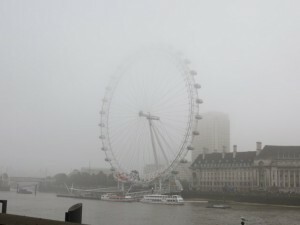 From Manchester to London to catch up with Jacqui & Trent – friends we met on our first motorcycle trip in 2003. It was fantastic to meet their family and catch up on all of their news. 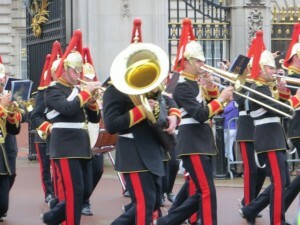 We did venture into the city for the changing of the guards at Buckingham Palace. We’ve not seen it before and you’ve got to love a bit of pageantry. 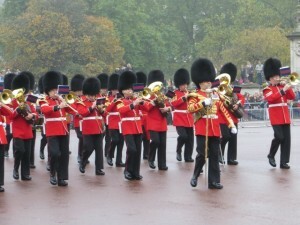 Had to laugh when the massed bands put on a concert after the official ceremony – the first song was Abba’s Dancing Queen. 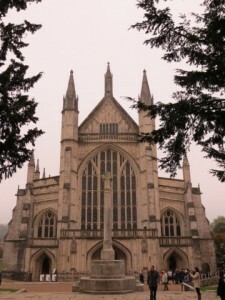 We hit the road and stopped at the magnificent town of Winchester to visit Ollie, a great bloke we met in Alaska. 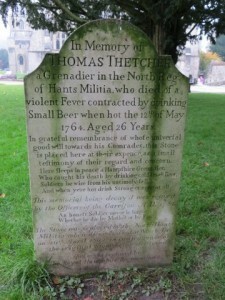 We walked through the old town and then enjoyed a meal in one of the old pubs with our new friend. 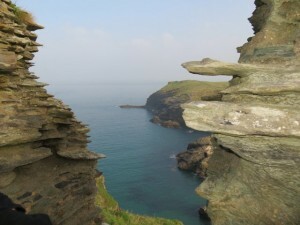 It’s getting cold but we continue on the road and end up Tintagel in Cornwall. 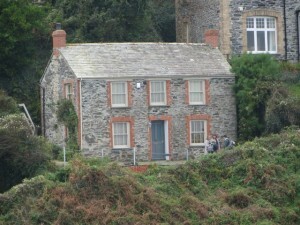 This is where the legend of King Arthur is centred. 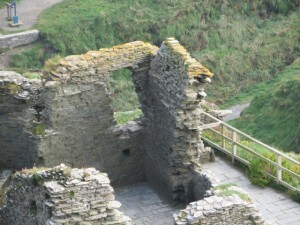 We had rain on the way into town but the sun shone when we clambered up the hill to visit the ruins of the castle. 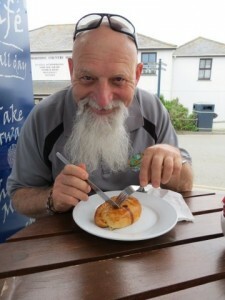 Of course, when you are in Cornwall you must eat a Cornish Pasty. 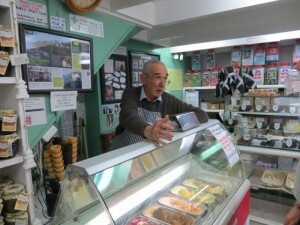 Brian was threatening violence if we left town without enjoying the local delicacy. And enjoy it we did. 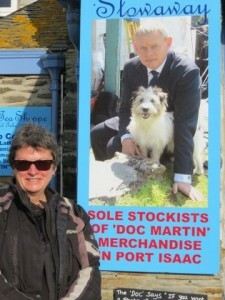 Shirley, being a fan of Doc Martin the Television show, meant a compulsory visit to Port Isaac where all the lovely scenes are shot. We even met some of the locals who are extras in the series…and bought some liquorice in the store that is the Doc’s pharmacy. It’s October and winter is looming. We must head to Europe where some great cities and some great friends are calling.